The word cancellation nowadays doesn’t mean what it used to mean when it comes to TV. While it’s never exactly good news to hear that a favorite show has been axed by a network, hope is not lost so long as Netflix and other streaming services are out there as possible saviors. Netflix in particular has become a refuge for programs that just don’t deserve to be done forever. The streaming service has saved a variety of series, ranging from The Killing being brought back from the grave right away to Arrested Development being resurrected after years to Wet Hot American Summer: First Day of Camp revamping an original premise. Some shows that have been nixed by network television are definitely best left unrevived, but there are some that could use a little more closure. Whether they ended on crazy cliffhangers or just had tons more story to tell, the finales came all too soon. Here is a look at eleven TV shows that would be perfect for Netflix to bring back. Pushing Daisies was a fantasy/musical/dramedy that ran for two seasons from 2007 – 2009. It followed the story of Ned, a pie-maker able to bring people back from the dead… with a catch. If he revived a dead person for more than one minute, somebody else would die. If he touched a revived person for a second time, that person would die. The talent enabled Ned to help solve crimes, but it also prevented him from ever touching his true love. 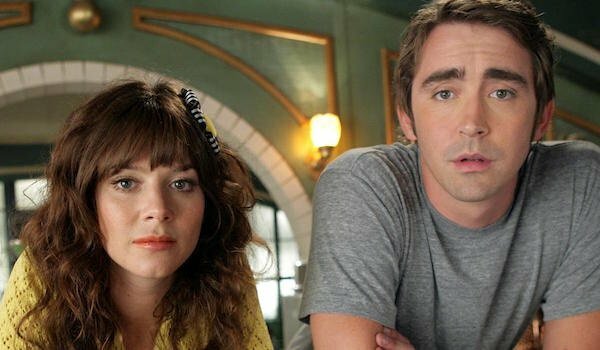 There was talk of a revival via big screen or Broadway, but nothing even came of either possibility for Pushing Daisies. Netflix would be the ideal place for such a charmingly bizarre series. The right mood was required for an episode of Pushing Daisies, and new installments would be perfect. Better Off Ted was a half-hour satire sitcom that ran for two seasons on ABC from 2009 - 2010. Protagonist Ted was a good man with an important position within a soulless conglomerate corporation. He regularly broke the fourth wall by directly addressing the camera. The premise as well as stellar cast--that included Jay Harrington as Ted, Portia de Rossi as Ted’s boss, and Andrea Anders as Ted’s love interest--made Better Off Ted a particularly promising series. Sadly, the ratings weren’t there to support the comedy, and the final episodes never even aired on ABC. Critics loved the series, and the premise hasn’t exactly gotten less relevant in the years since cancellation. Netflix could nail a revival of Better Off Ted. Party Down was a half-hour comedy that ran for two seasons on Starz from 2009 – 2010. It followed the misadventures of a group of caterers in Los Angeles as they tried to make their break into showbiz. The premise was interesting enough, but the unfailingly hilarious cast was what made Party Down so unforgettable. Adam Scott, Ken Marino, Lizzy Caplan, Ryan Hansen, Martin Star, Jane Lynch, and Megan Mullally made up an ensemble that deserved to stay on screen together for much longer than they did. Although the stars did go on to find hits elsewhere, a reunion for a Party Down continuation would be fabulous. Everybody involved seemed eager to do more, but the stars have not 100% aligned just yet. Deadwood was a western that aired on HBO for three seasons from 2004 – 2006. 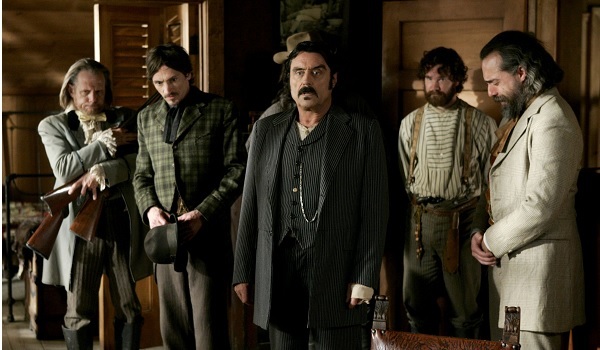 Three seasons is a respectable enough run, and the show served up plenty of action during its time on the air, but there was never a sense of closure to give the impression that it was time to say goodbye to Seth Bullock and Al Swearengen. There were still so many people to kill and anachronistic F-bombs to drop. There’s been hope for a film return to Deadwood, South Dakota since HBO cancelled the series, but we’ve been sadly without any new material for far too long now. Surely Deadwood is worthy of a second go, and Netflix would be a great platform. Caprica was an hour-long sci fi drama that sadly ran for only one season on Syfy. The show barely had time to get off its feet before Syfy cited low ratings and gave the cancellation order, but given that Caprica was a a prequel to Syfy’s phenomenal Battlestar Galactica remake with the same production team, Caprica had the potential to become a series to stand the test of time. Of course, BSG had woes of its own during its time on Syfy, but at least the parent show came to a conclusive ending. Caprica could have continued. We saw how the Cylons took over in BSG; we could have seen their rise in Caprica. Perhaps it’s not too late for Netflix to step in and give it another shot. Jericho was an hour-long post-apocalyptic drama that aired for two seasons from 2006 – 2008 on CBS. The show followed the citizens of a small town trying to adapt to life after a huge nuclear attack. Despite a stellar cast, including Lennie James who is now surviving in a different kind of post-apocalyptic world on The Walking Dead, Jericho was enough of a ratings flop at CBS that it was cancelled after the first season. It was only thanks to the enthusiastic fans who sent nuts to the network in a reference to a line from the first season finale that earned them a second season. Netflix and CBS were apparently flirting with a deal to bring new episodes of the series to streaming video, but a deal was clearly not struck. Happy Endings was a half-hour sitcom that ran for three seasons from 2011 – 2013 on ABC. The sitcom wasn’t really about anything in particular, but it never failed to bring the laughs thanks to the ensemble of crazy characters. The six friends were all delightfully dysfunctional in everything from their careers to their love lives to their escalating pile-ons of insults. Happy Endings never relied on only certain pairings within the group to carry the show, and mixing up the dynamics on a weekly basis kept it fresh from premiere to finale. The creative team has expressed regret at the cancellation and a willingness to come on board if the opportunity should arise, so perhaps a few strokes of luck and an invitation from Netflix could give a new beginning to Happy Endings. Constantine was an hour-long supernatural drama that ran for only one season of thirteen episodes from 2014 – 2015 on NBC. The series was based on the DC Comics character John Constantine and his work as an occult detective/exorcist. Constantine was the NBC contribution to the Fall 2014 DC blitzkrieg, and it was unfortunately the only one to be cancelled. The producer has said he believes that the show failed to take off because NBC was ultimately the wrong network. Attempts to shop the series around for a new home failed, but there’s no reason why Netflix could not decide to give it another shot. 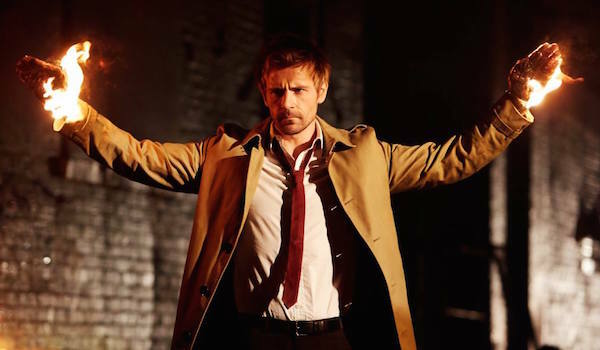 Comic series are all the rage right now, and Constantine is a popular character. Freaks and Geeks was an hour-long comedy/drama that aired for one season from 1999 – 2000. 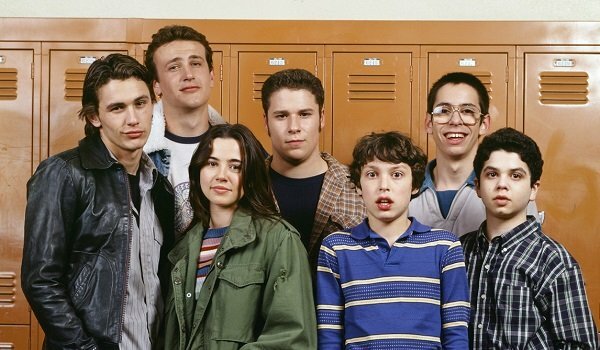 Set in the early 1980s, the show followed the lives of high school students designated as either freaks or geeks. It’s gained a cult following in the years since, but most of the cast – including James Franco, Seth Rogen, and Jason Segal – have moved on to illustrious careers in showbiz. Fans have been wanting a reunion for years, and producer Judd Apatow has never ruled out the possibility. Franco has raised the point that they’re all much older now, but if Wet Hot American Summer could find a way to make the chronology work, surely Freaks and Geeks could pull it off for a Netflix series. Veronica Mars was a teen noir detective series that ran for three seasons from 2004 – 2007, first on UPN and then on The CW. The show was a critical hit during its original run, but scheduling switcheroos on minor networks kept it from ever gaining as big an audience as it deserved. Teen detective Veronica did make a comeback as an adult in the big screen Veronica Mars movie funded by fans, and the feature worked so well with so much of the original cast back that a Netflix revival could be fantastic. Star Kristen Bell is certainly busy these days, but she’s been vocal about her love for Mars. Of all of the shows that would be perfect for Netflix to bring back, Veronica Mars might have the bests odds of getting to gang back together. What would a list of shows deserving to come back be without Firefly? 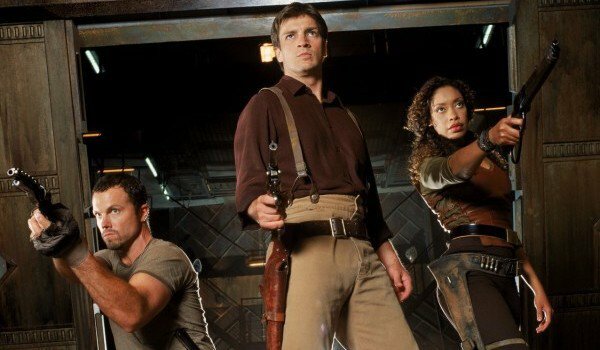 Firefly was an hour-long space cowboy adventure that is now infamous for being cancelled by Fox after only a single season in 2002. 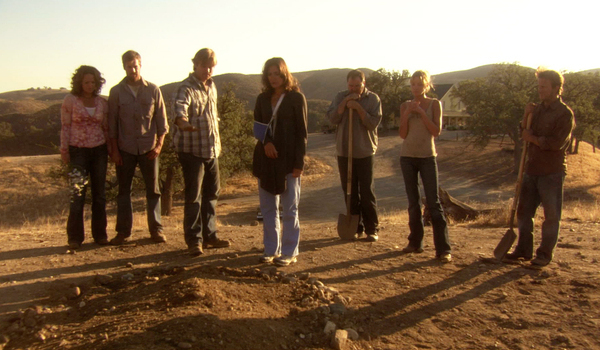 The Joss Whedon series attracted a cult following even during its original run, but it suffered from scheduling difficulties. Even the efforts of fans to find a new home for Firefly fell through. The final episodes didn’t even air on Fox, which is kind of hilarious in hindsight considering how huge a following Firefly has amassed. The crew did come back for another go with the Serenity feature film, but rumors of a further revival haven’t produced anything. An awful lot of time has passed, but if there was any platform that could do justice to a revival, it would be--you guessed it--Netflix.